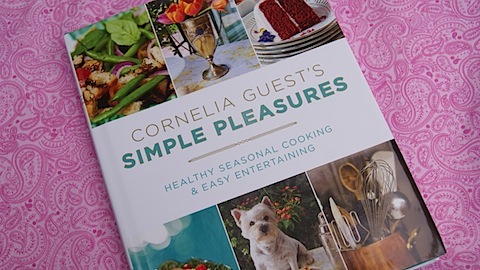 Cornelia Guest’s Simple Peasures: Healthy Seasonal Cooking + Easy Entertaining is a great new book with lots of recipes and tips for entertaining. 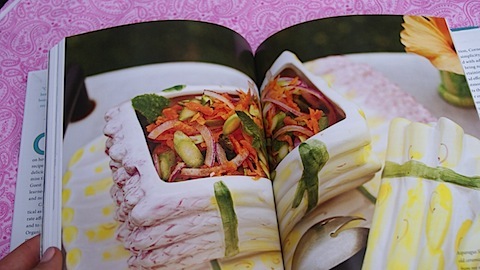 I was really excited when this book arrived because it seemed to be just my style: easy + healthy entertaining. Can’t go wrong there! 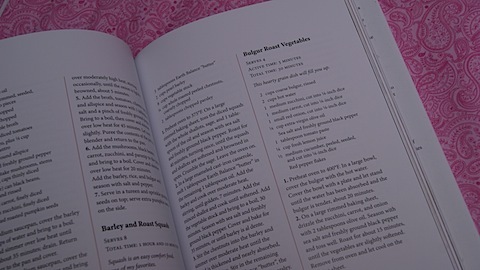 The book is filled with understandable recipes that will make your mouth water. Like these, Bulgar Roast Vegetables. 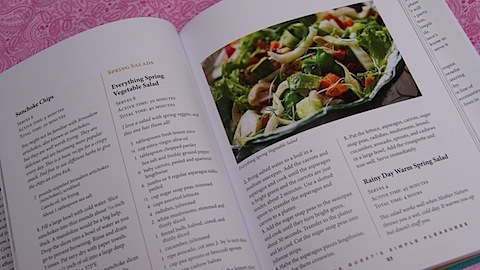 Or this warm spring salad. 1. 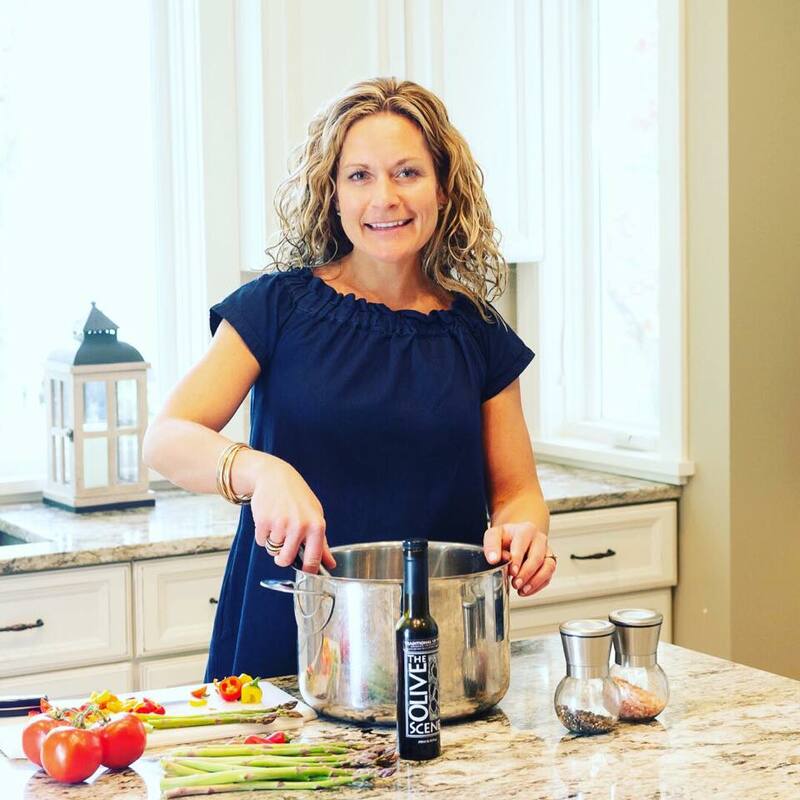 Don’t serve ton of food before dinner. It’s not necessary. 2. Don’t plate food. I don’t really know anyone who does this, but it’s a good reminder. 3. Fresh flowers are a must. 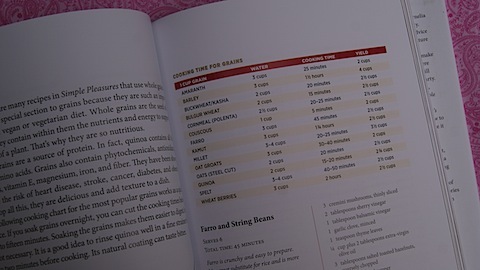 The book also includes this simple-to-read chart about cooking time for common and less-common grains. And another book bonus: Notes from my friends. 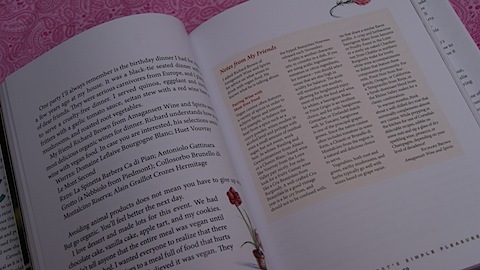 I love that the author has collected tips and stories from her friends to share with readers. This adds a great dimension to the book! 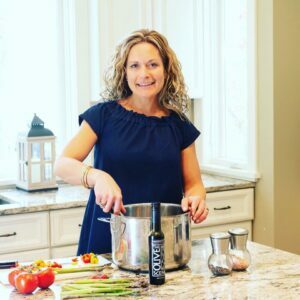 I have flagged quite a few seasonal recipes that I am looking forward to putting on my menu plan for next week! Also, stay tuned for a giveaway of this great book! !